The Bunny Hugger: Do "Bobcat Hybrids" Exist? When a woman in New Jersey attempted to get a license for her "Bobcat hybrid", doing the responsible thing had unintended consequences. 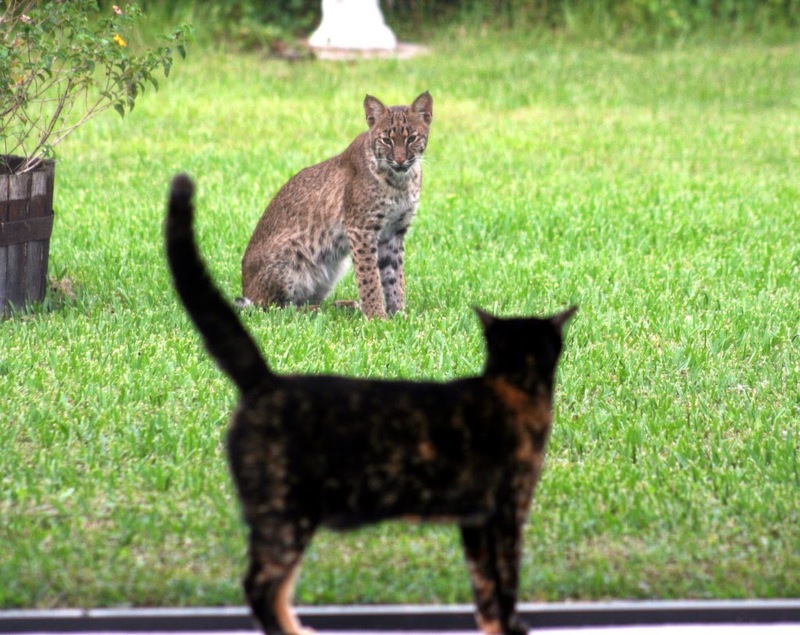 The problem being: it is not clear that bobcat hybrids even exist, and if so whether "Rocky" is one. Because if he is a pure Bobcat, and hence a wild animal, she cannot legally keep him as a house pet. You will see people advertising bobcat hybrids online, but of course that is no guarantee that they actually exist as many breeders (willingly or through credulous rebreeding from "fake" Bobcat hybrid stock) are selling normal cats as hybrid. Pixie-bob cats are sometimes described as carrying Bobcats genes but this is through vague attributions to Bobcat and barn cat matings that are only presumed to have occurred, not known or proven to have occurred. It might seem a plausible story given the pixiebob's appearance. However, genetic testing has not been able to find any evidence of this cross-breeding. The fact is that while fertile mating cannot be ruled out, no Bobcat x domestic cat has ever been demonstrated to exist via genetic testing. If an animal is purchased from a breeder it is mostly likely to be a 100% domestic cat, or occasional a misidentified pure Bobcat or other hybrid cat. One of the reasons misidentification can occur is that Bobcats actually have a surprising variation in appearance and will hybridize with other wild cats such as the lynx. My best guess would be that poor Rocky will turn out to just be a cat, and get to go home (no license required). Update: the test proved to be inconclusive.